ukuta Of Memories. This is Belle and Phoebus' ukuta of family memories. Their kids are AnneMarie, Jim, and Alice. I showed them as children and as teens. Then I also included a picture of Marie, the family cat. :). 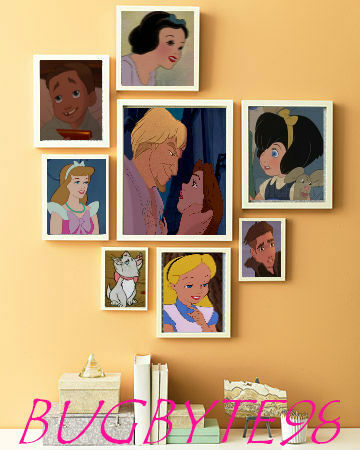 Wallpaper and background images in the Disney crossover club tagged: crossover disney snow white anne marie alice cinderella jim phoebus belle marie. This Disney crossover photo might contain chumba familia and familia chumba. Ummmm, call me naive, but who's AnneMarie? if I'm not mistaken I think she is from All Dogs Go to Heaven. Oh, OK, thanks for telling me. I honestly did not know.